Matchpoint has been on the go this month, spreading the word about our innovative approaches to infrastructure management across the nation. The team represented and presented at two major regional conferences: the WaterPro conference in Fort Worth, Texas and the TriState conference in Las Vegas, Nevada. Both were productive shows. 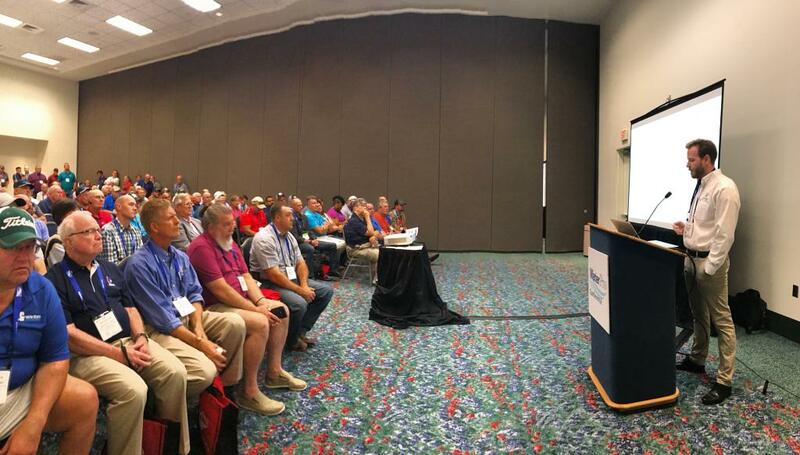 At WaterPro, Matchpoint VP, Simon Wick spoke on the importance of water loss with his presentation “Water Loss: Saving Water and Saving Capital” and R&D Director Robbie Eisnenrich spoke on our new drone and UAV-based methodology with his “Drones and Infrastructure Management” presentation. Tri-State presentations were geared toward DMA management and geospatial data. If you missed them, contact us to get a copy of the PowerPoint presentations!